VISEGRAD, REPUBLIKA SRPSKA, BOSNIA AND HERZEGOVINA. A man waves a Serbian flag as part of a wedding procession through the streets on October 18, 2014. 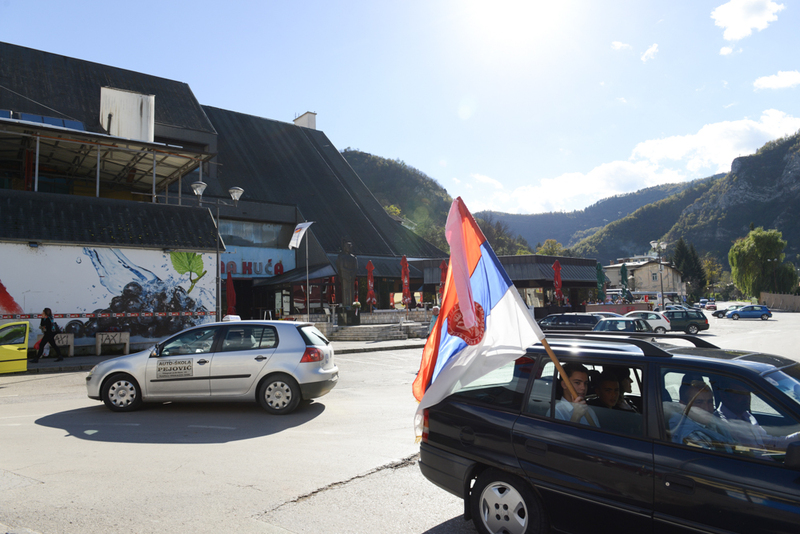 Visegrad was ethnically cleansed by the Bosnian Serb Army during the 1992-1995 conflict; a plaque on the statue beside the café in the background states, "Monument to defenders of the Republika Srpska from the grateful people of Visegrad".